Q: Can Nintendo Lock out Gateway cards with 3DS firmware updates. A: YES – Sorry to tell you this but yes they can and they will if you update. The good news is that 3DS will not auto update itself so if You never agree to a firmware update you can continue using GW3DS, but make sure that system updates are avoided and better yet disabled via 3DS parental controls. Also to avoide detection by Nintendo – online features of the games are currently disabled when using a 3DS rom from a Gateway card. 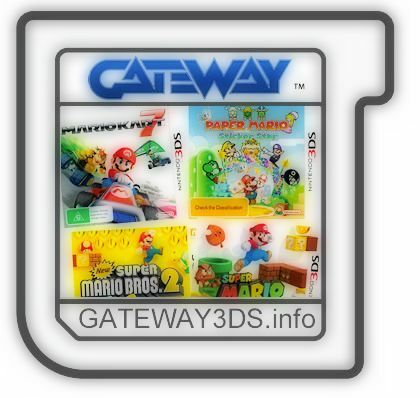 Q: What are the 3DS ROM sizes and what size microSD card you would suggest for Gateway 3DS? A: The smallest 3DS roms are ~256MB (1024 Mbit) big and the largest are ~4GB (32768 Mbit) big. Because not all 4GB of space on a 4GB microSD card can be used for storage I would suggest using a 8GB card that would fit even the largest 3DS roms, but of course for most games 4GB or even a 2GB card would be enough. Also with a help of the 3DS Rom Tool you can trim the extra unused space from the larger 4GB roms files so they would actually fit on a 4GB microSD card and you would not have to spend the extra cash for buying an 8GB card. Q: Do I have to use CLASS6 or CLASS10 microSDHC cards for optimal loading speed? A: Class-4 Class-6 or Class-10 does not noticeably influence the game loading speed on Gateway 3DS, but you may consider the price/value of the time that you are going to spend copying 3DS game roms from PC or Mac to the microSD card. Class 10 micro SDHC card would cut the file transfer speed in half when compared to a Class 4 card. Q: Can I go online with a game running from a Gateway 3DS card? Do multiplayer features of the games work on GW3DS roms? A: NO – To avoided detection of an unauthorized device by Nintendo we strongly suggest against using online features when the 3DS has the Gateway Mode activated. You can play local multiplayer games and use the online features of the Nintendo original cartridges when the 3DS is reset to the normal state. Q: Is there a game select menu or can I only play one game at a time? A: Currently you can copy only one game to the microSD card and to play another rom you either have to insert a different micro SD /SDHC card with another 3DS rom or you have to erase the rom files from the microSD card and copy another game to it. 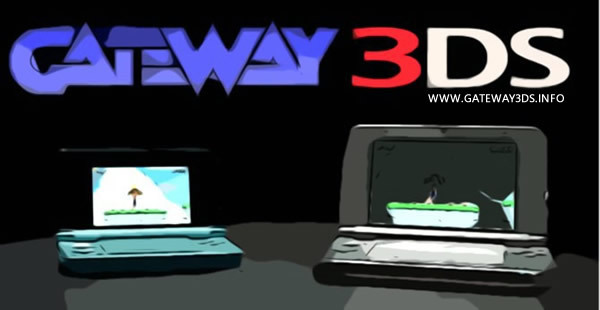 Q: What is the Gateway 3DS Compatibility with 3DS roms? A: As of this date all games except for Animal Crossing work. GW3DS Team is working on an firmware update that will add support for NAND based save method that the Animal Crossing Rom uses and updates will be issued to support future game rom releases. Q: Does the microSD card have to be the exact same size (MB) as the 3DS ROM I want to play? A: NO – the SD card simply has to be larger that is large enough for the rom to fit on it. The largest 3DS games are just a little bit bigger than 4GB so a 8GB microSD card would with any game. Q: Can I play Japanese games on a USA console or China roms on Euro console? Copy one game rom to microSD card and play i ton the Nintendo 3DSXL console.